Zip ties and rings secure flags to the banner brackets. Bandings are 48-1/2" long to fit around most light poles. 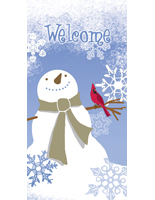 Banner brackets have a cast aluminum construction for durability. Poles feature a fiberglass construction that will not snap or break in windy conditions. 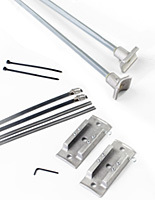 ** Toothed brackets offer greater control when performing on-pole height adjustment These banner brackets are a cost-effective way to mount 18" wide street flags along an avenue or walkway. While this set of hardware has a low price point, all of the features customers want in mounting equipment are included. 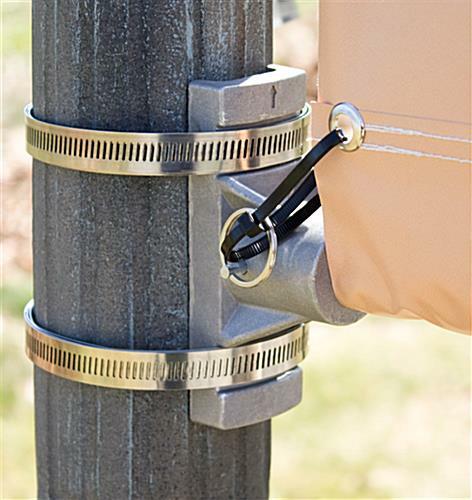 This mounting kit comes with (2) brackets, (4) bandings, (2) poles, (2) pole pins with rings, (2) zip ties and an instruction sheet. 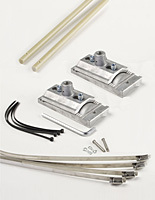 Mounting street flags with this equipment is simple and hassle free. 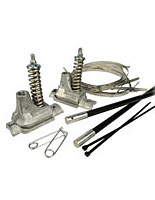 This set of banner brackets has a construction that balances durability with affordability. The zip ties connect your flag to the pole rings to ensure the pennant does not slide off the poles. The banner brackets feature a cast aluminum fabrication that is rust resistant. Each pole is made from fiberglass, ensuring it will not break in high winds. The screw gear bandings that secure the banner brackets to a lamppost have a durable metal construction as well. These banner brackets allow customers to mount street flags in many locations, and on many different types of poles. 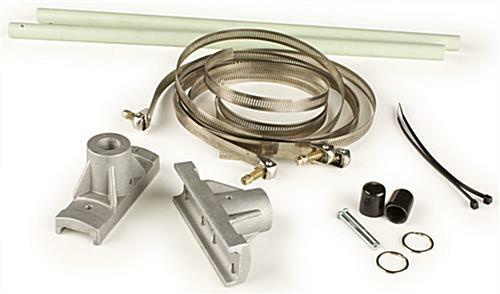 This set of hardware is engineered for compatibility with round and square light poles. The (4) screw gear bandings are 48-1/2" long, allowing each banding to fit around lampposts with a diameter of up to 15-1/2". 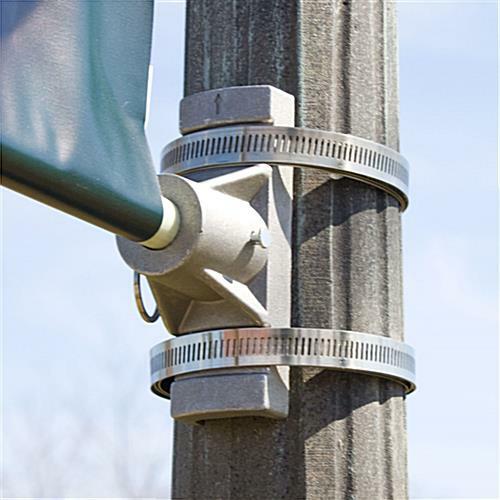 To secure each bracket to a light pole, simply position a banding in the upper and lower channel of each bracket. Then, slide the end of each banding into the screw mechanism located on the opposite end. Once each screw gear banding is in position, push the screw mechanism flush against the binding and tighten with a screwdriver. This hardware does not have an "on-pole adjustment" feature. Each screw gear bandings must be loosened, and each bracket positioned to pull flags taut. 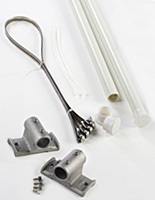 Due to a simplified design, this set of banner mounting hardware sells at very affordable price points. 18.0" x 5.0" x 2.4"